Price: USD 625 per person. On arrival at Pangkalan Bun airport, meeting service with your guide then transfers you to Kumai. Onboard, crossing the Kumai River approximately 15 minutes to the main river Seikonyer. Riding up about 2 hours to reach the National Park. Lunch will be served by our own cook. 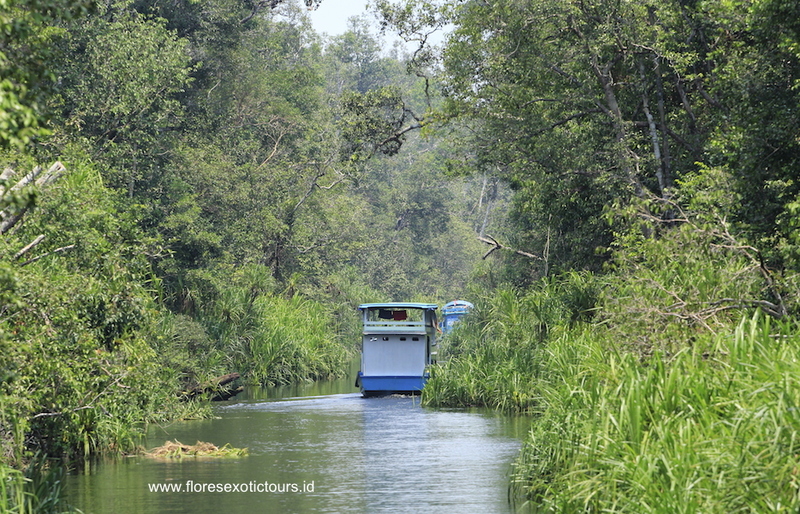 At 16.30, continue our tour to explore Proboscis monkeys. Dinner and overnight on the boat. After breakfast, proceed upstream to Camp Leaky area, it will pass the black river. When arrive in camp Leaky, hiking up to see more wildlife such as Orangutans, Gibbons, wild pigs, birds, etc. Back to the boat for lunch and at 14.00 will follow the feeding program. Feeders will carry banana and feed the orangutan on the feeding platform. At 16.00, back to the boat for dinner and overnight. After breakfast, boating downstream to get to the second station called Pondok Tanggui, where the babies and juveniles of the Orangutan get fed. It will be taking 2 hours to reach this Camp from Camp Leakey. Enjoying the situation till 10.00, continuing our tour to Tanjung Harapan village where we can see the Malayan settlement in the gate of National park. Lunch will be served en-route by our own cook on the boat. At 15.00 you will visit the First Camp Tanjung Harapan just cross the river from Tanjung Harapan Village to see the last orangutan feeding. You will enjoy the situation until 16.00. Back to the boat then boating down the river to the Nipah Palm area. Dinner and overnight on the boat.